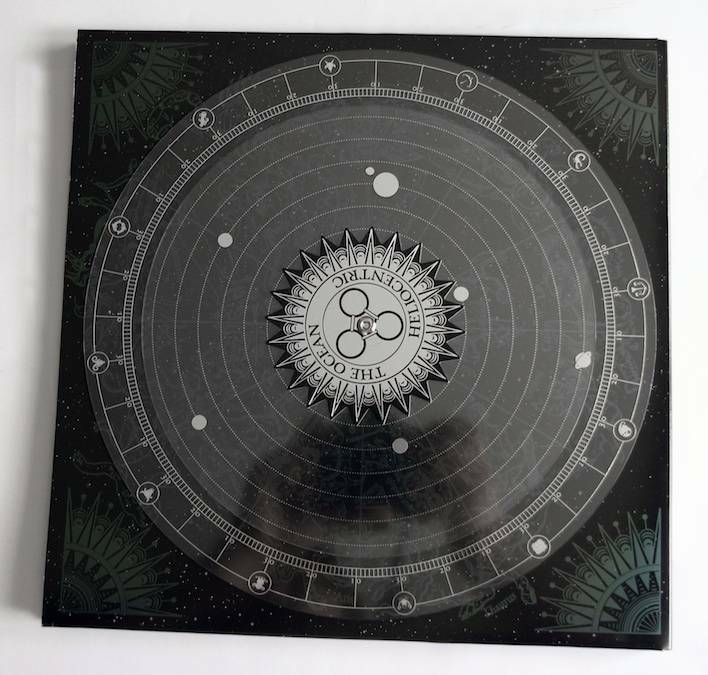 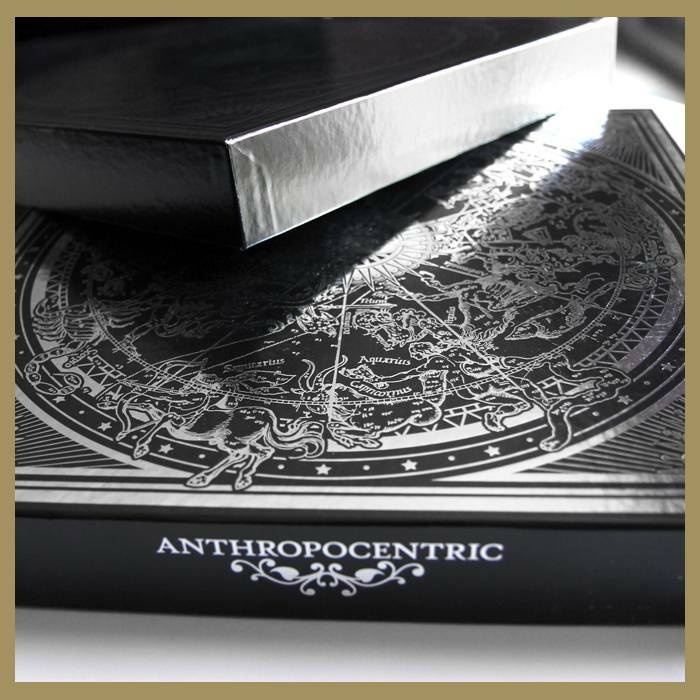 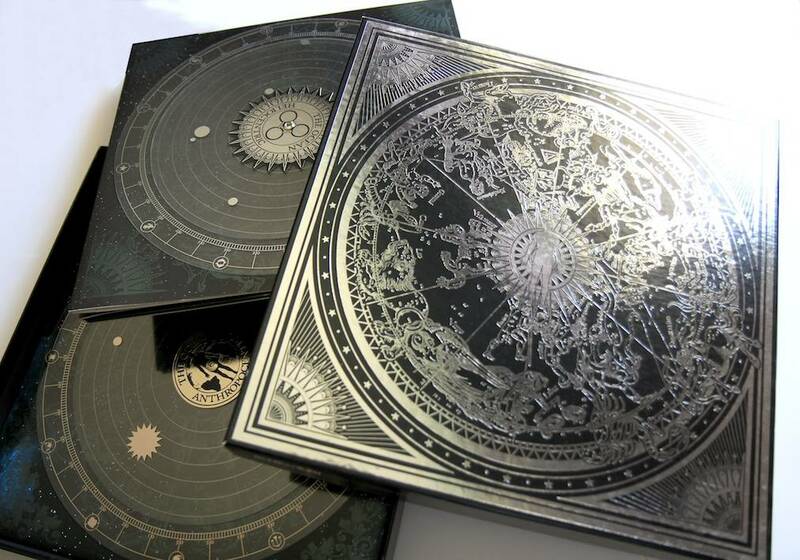 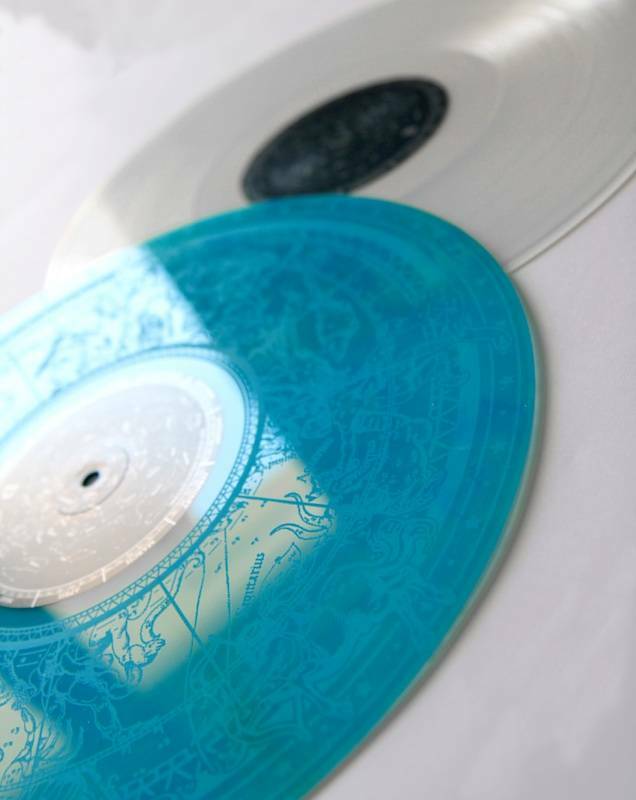 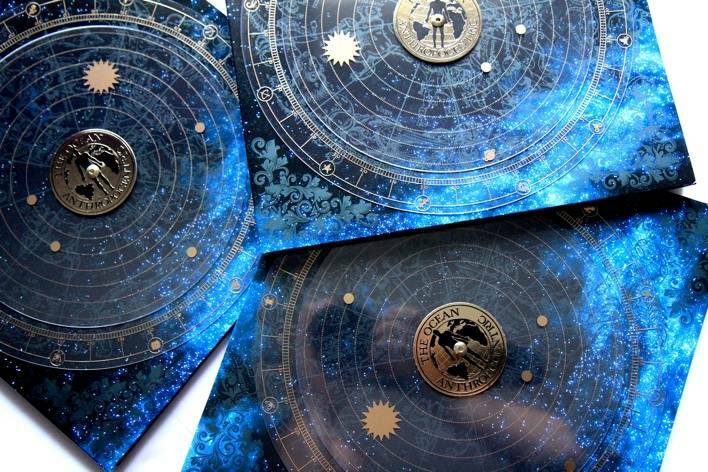 “Heliocentric” and “Anthropocentric” gatefold covers, each with 3 revolving transparent & silver-/gold-foiled PVC dials attached to the front of gatefold with a screw, showing the sun/earth, the orbits of the planets revolving around the sun/earth, and the zodiacs. 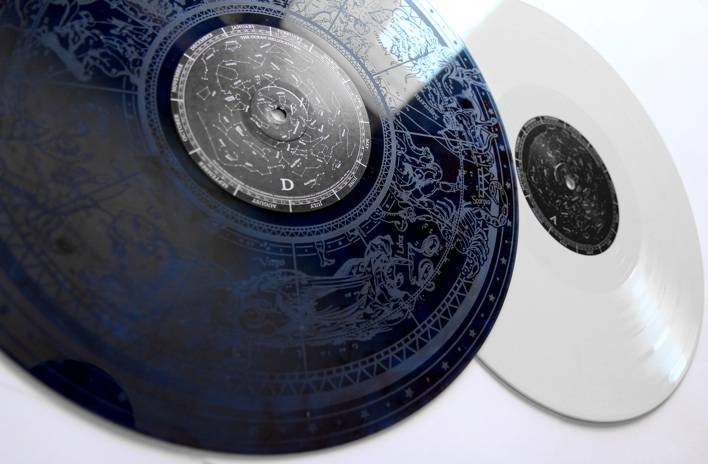 These dials can be manually turned. 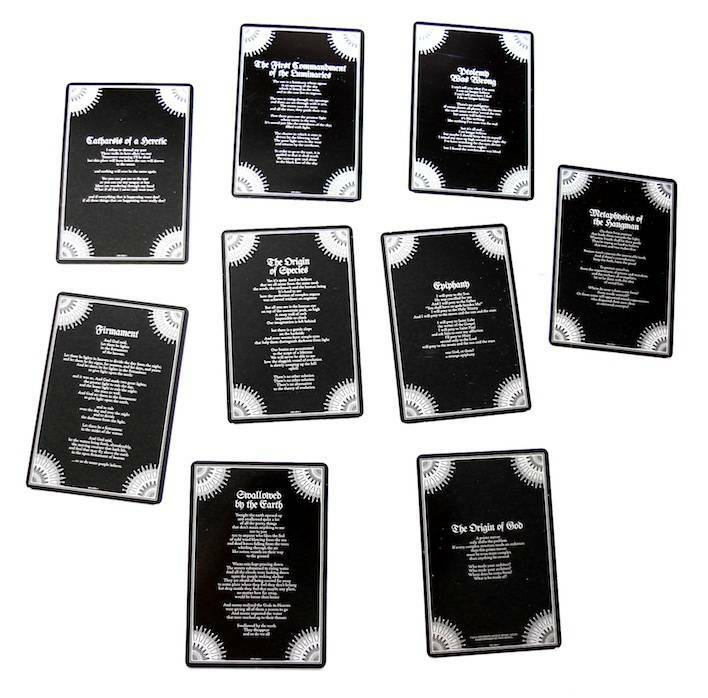 9 special cards with images by Francisco de Hollanda and lyrics on backside. 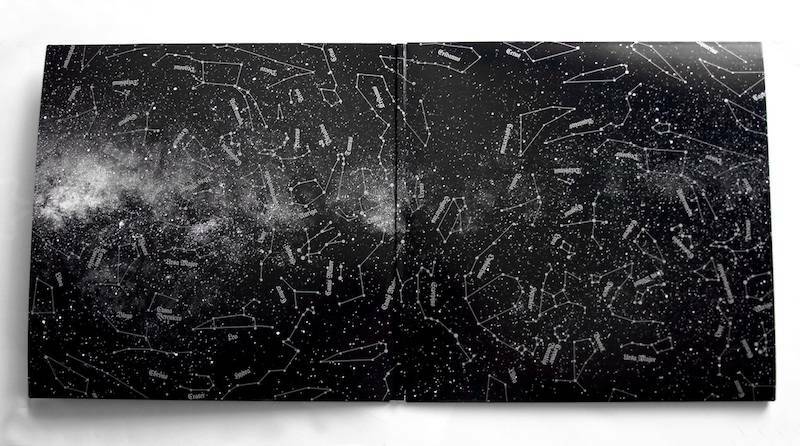 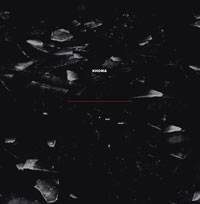 star map insert with lyrics on backside.